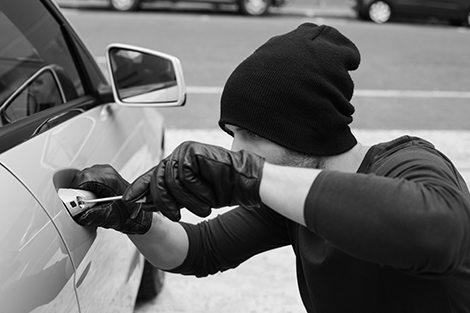 Between October 2015 and September 2016, there were a staggering number of vehicle thefts in the UK – 831,000 to be precise. In London alone, over 6,000 cars were stolen by the method of “keyless” theft in 2015. Take, for example, the Nissan Qashqai. Boasting a 7” touch screen to access media and navigation, it even has capability to connect to your smart phone and social media profiles. Worth over £18,000 brand new, this is a car that has plenty to brag about and is therefore not immune to being overlooked by potential car crooks. The Qashqai’s crossover counterpart, the Nissan Juke, has dynamic driving modes such as sport and eco, as well as having technology that can sense moving objects. Sport mode of course suggests the Juke would make light work of making a quick getaway should access be gained to the vehicle. And enter the new Nissan Micra, here to challenge small car standards with Apple CarPlay technology, Bose speaker systems and an exterior featuring sporty lines and major street appeal, which brings us to the conclusion that the plight of being “nickable” is no longer one reserved for high-end luxury motors. Removing the need for keys to the automobile that potential pinchers would have encountered in times gone by. But how can this be done? Techy thieves can block a key fob’s radio signal to block the locking of the vehicle as the owner leaves, and then upon gaining access, download the cars data onto a blank key so that the car can then be driven away. This process can take a matter of seconds. And when you’ve been on your route home, enjoying your favourite album on your on-board entertainment system inside your comfortable and slick new Nissan Juke, it’s horrifying to think that as you walk away from your vehicle that you are assuming is safe as you push “lock”, a crime could already be underway as that signal is intercepted. And one way you can increase the security of the vehicle you rely on every day is with the Phantom iTrack2OBD – the key feature being its OBD protection. This clever system further shields against keyless thieves by automatically immobilising your vehicle in the event of any attempt to tamper with its on-board diagnostics system. The system comes complete with all the benefits of the original iTrack: a 24-hour control centre that will alert you at the first sign of anything untoward and work to help retrieve your vehicle as soon as possible, tow alerts and the completely free My Phantom App, which can be accessed anytime, anywhere. So, as keyless car theft is on the rise, be wise – protect your desirable asset, as Nissan’s Qashqai and Juke fall into the immensely sought after type of car, the stylish 4x4. Call Phantom on 0161 2194299 to find out more about the iTrackOBD and iTrack2OBDPlus today.